First giant puzzles, specially designed for beginners and children with Special Educational Needs. The extra thick and Large pictures are print foil, printed directly on the wood, extra big wooden knobs for easy removal and placing. 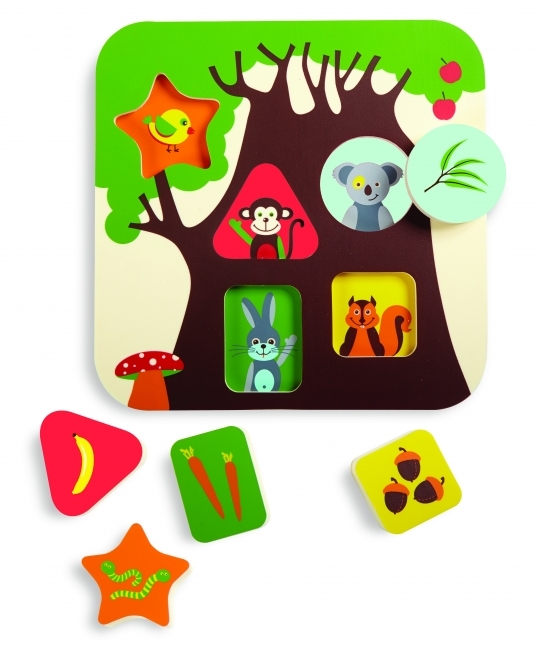 A 10' square Edu-Foam Puzzle features a tree of happy creatures all waiting to be fed with the matching food pieces. Encourages Logic and Reasoning Skills, Shape Matching, Role Playing and so much more! Tree House Puzzle may be used in the bath or pool as well! 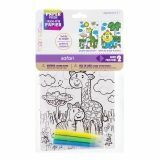 If your child loves going to the zoo, this Foamies safari color-in puzzle is a great craft for them! 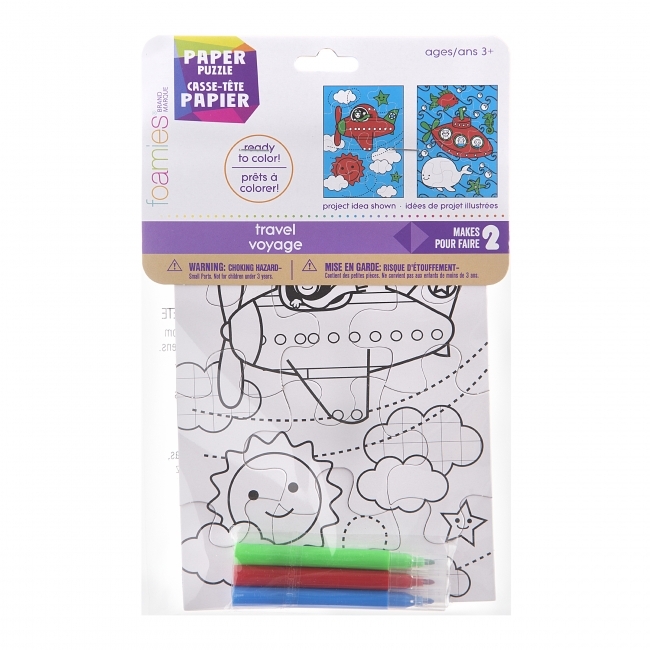 First, they can have fun assembling the puzzle, then they can enjoy coloring using the 3 mini markers that the set comes with. 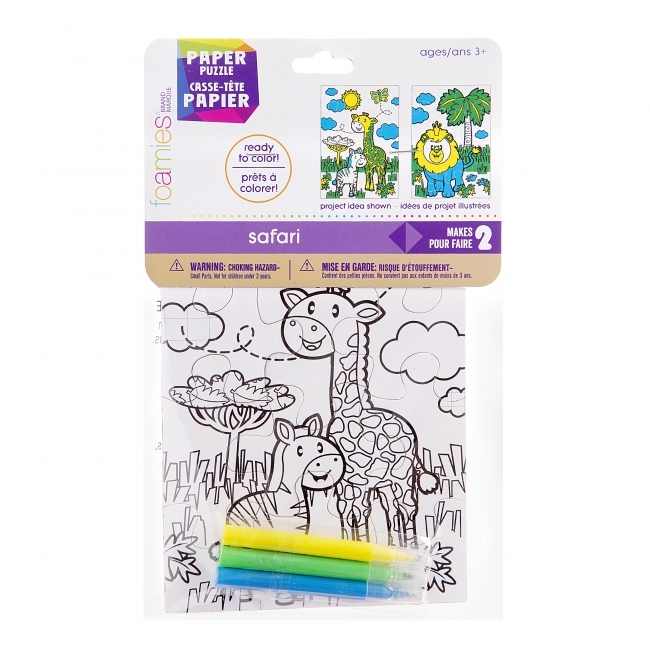 Safari puzzle, The puzzle is 5 x 7 inches, Puzzle comes with 3 mini markers, For ages 3+. 2 color in puzzles per package. Does your family love to travel? 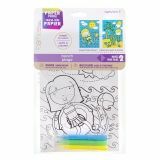 If you do, this Foamies color in puzzle is perfect for your little one to color. This puzzle is very easy to assemble and will easily keep your child preoccupied and having fun the rest of the afternoon! Travel puzzles, The puzzle is 5 x 7 inches, Intended for ages 3 and up. 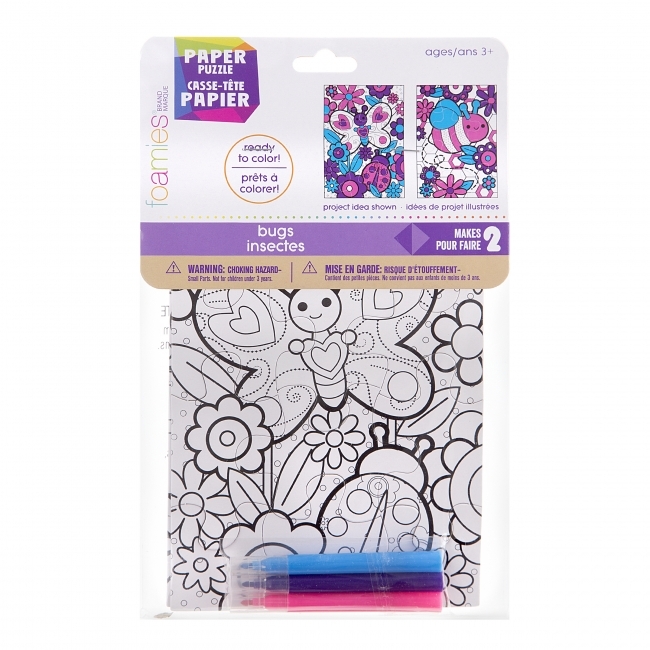 2 color-in puzzles per package. 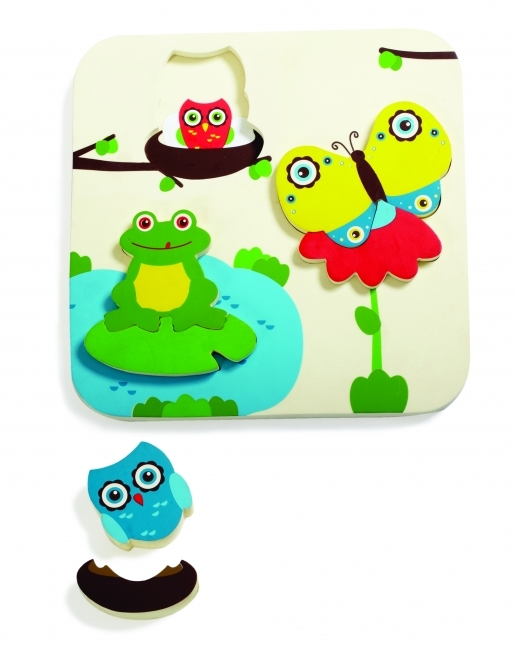 Your child can show their creative side with this Foamies bug puzzle. This puzzle is very easy to assemble and will easily keep your child preoccupied and having fun the rest of the afternoon! Bug puzzle, Puzzle measures 5 x 7 inches, 3 mini markers, Intended for ages 3 and up. 2 color-in puzzles per package. Give your child a beach puzzle so that they have a blast while coloring their favorite vacation spot. 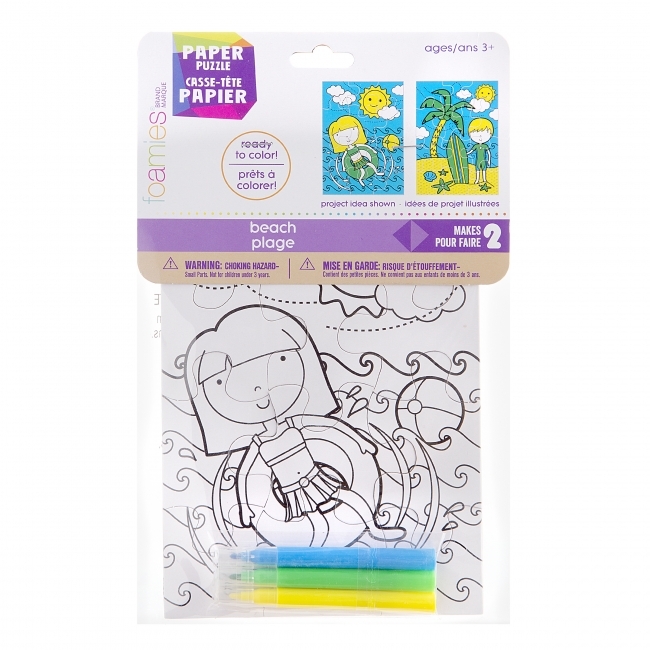 Every little one loves to color and go to the beach, so this Foamies color-in puzzle is a perfect gift for them to keep their afternoon occupied! Beach puzzle, Puzzle measures 5 x 7 inches, 3 mini markers, Intended for ages 3 and up. 2 color-in puzzles per package. Safe, Soft, Play'¦Giant interlocking foam floor puzzle tiles. Brightly colored puzzle pieces pop-out pieces from the 12" x 12" tile. A perfect product for designing specific play areas to suit your child's lifestyle. 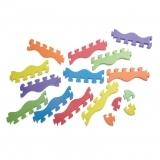 Set includes: 10 Puzzle tiles made of firm thick Edu-Foam. Assembled Size: 36" x 36" Edushape 12" square tile sets are interchangeable with each other and optional Corners & Edges are available. First giant puzzles, specially designed for beginners and young children. The extra thick and Large pictures are print foil, printed directly on the wood, extra big wooden knobs for easy removal and placing. 10' Square Edu-Foam Puzzle Fun. 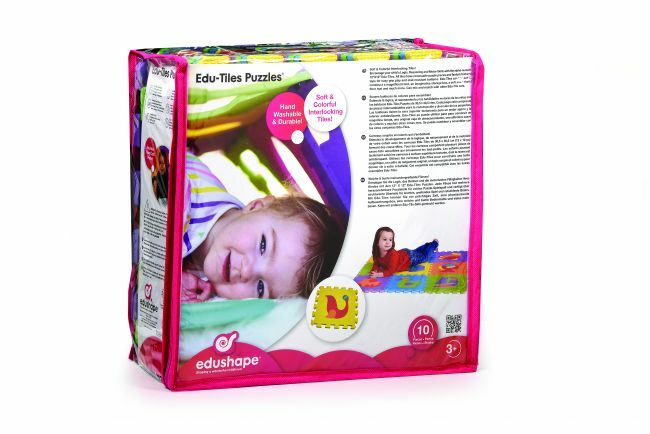 Multi-layer puzzle with helpful hints that assure successful puzzle placement, building self-esteem while having fun! The bottom layer gives clues as to where these fun critters live and frequent e.g. parent Owl protects Baby Owl. Great for role-playing and bath fun too! For one or more players.